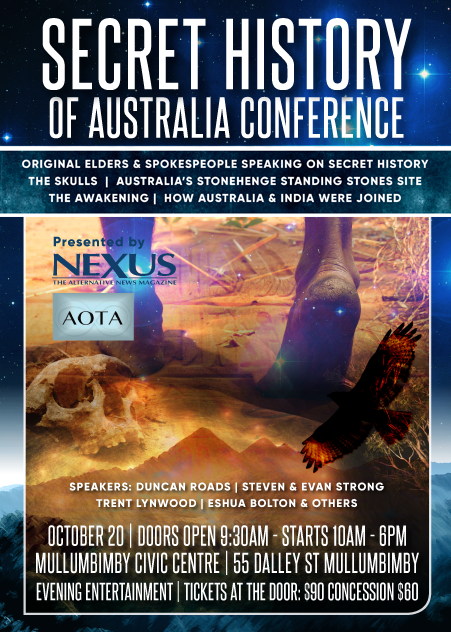 This Original presentation, organised by Duncan Roads from Nexus, is unique in that it presents First People truths, history and prophecy never given before. The reality of Original magic, supernatural powers and an eminent change in the way humanity lives (through Pleiadian assistance), are central themes in these talks. 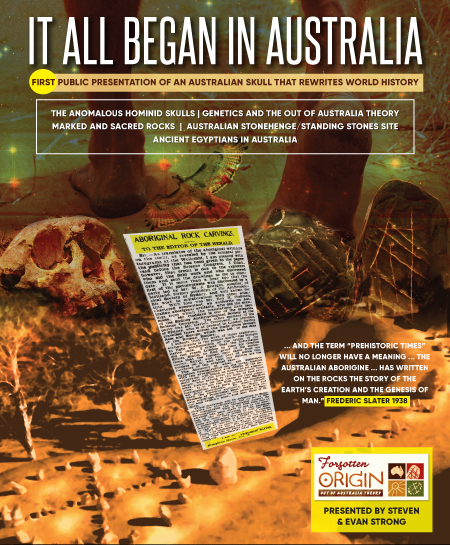 Merging the mystical and science, we will be introducing a recently found skull to the public that is neither Homo sapien nor hominid, yet part of modern human ancestry. 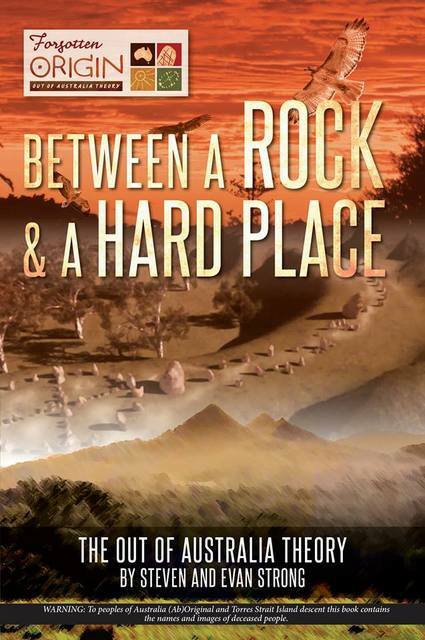 This science will be complemented by recently discovered evidence that proves that the local Standing Stones site is the most important archaeological site in the world. This sacred site contains a message from the Original Sky Heroes that is not only without equal, but part of this change. 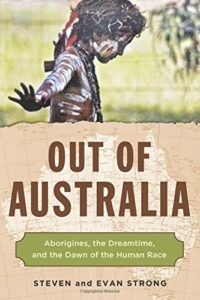 All of the information shared is not only an essential part of a history where Australia was the spiritual capital of the world, but will be again. The recurring theme that underpins this presentation is that the Original Dreaming is not linear but circular and the circle is now complete, and the change is nearly upon us. 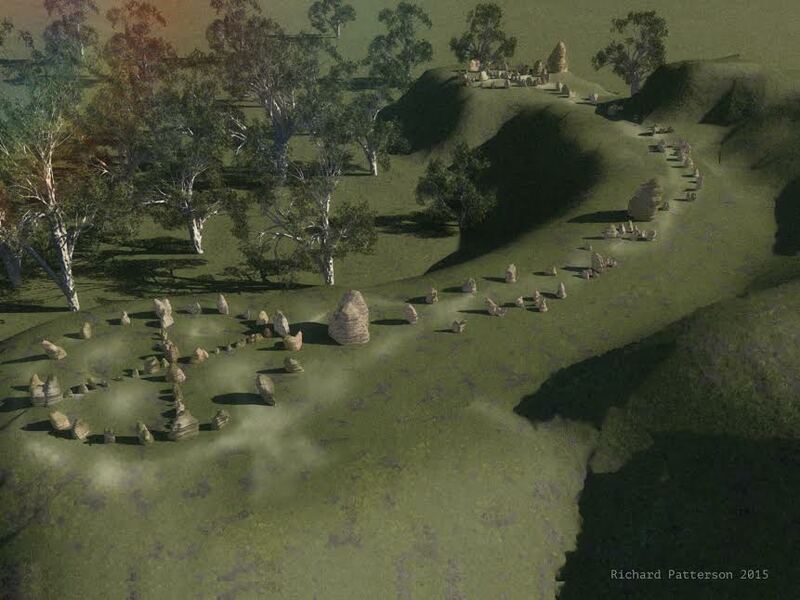 Hi I would love to speak with Steve one day about the Mullum site and whether he believes there could be a link with the Seven Sisters and whether he has considered the war between Atlantis and Greece before the flood and the daughters of Atlas the grandaughters of Poseiden coming here. The seventh sister the only one to marry a mortal was married to King Sisyphus of Corinth Greece who was in big trouble with Zeus ( a title like king back then by some accounts) I have studied some of the stories first told to anthropologists here and they include them landing in a ship on a hill in Northern Territory, being chased, teaching law to women,, being wooed with honey, two taken prisoner etc. 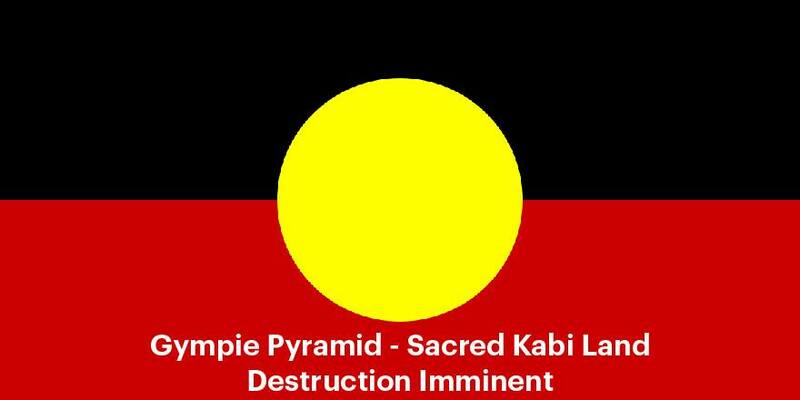 Jarmbi , who I know from helping at Bentley, in a youtube, said it’s blackfella whitefella dreaming this site near Mullum and there are pre egyptian hieroglyphs and it’s only early days when whites ruled Egypt when Atlantis sank.With no disrespect to original people i find it completely out of character that all that sandstone was moved and if white people did it it’s likely to be the Atlantean culture and specifically the Seven Sisters who I believe were involved. I do not know the creation story or future prophesy though so I am speculating. I sense through my own dreaming one of those sisters died here and wonder if that is a burial site too. 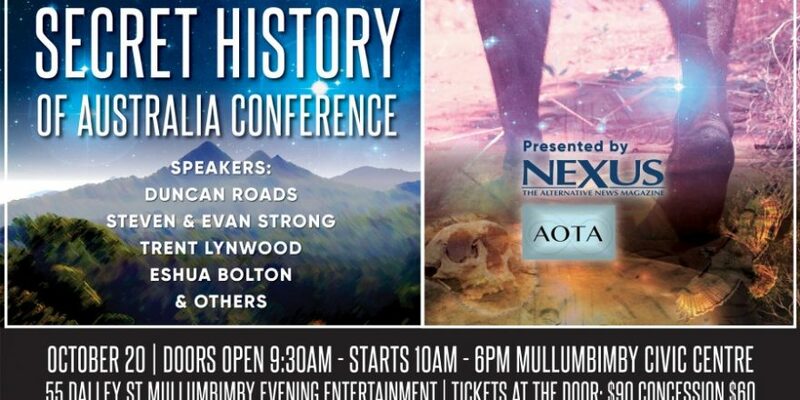 If any of that interests you my number is 0425801460 and though I am not financial enough to attend this conference I am very keen to learn more, from Kate ps I could bring Uncle Cecil from Nimbin if it’s helpful to the event. If you ever wanted I believe I could use my body to dowse for original rocks if i could touch one and was given permission to be there.